1990s GT Cars will be from scratch and I will ask for permission from various modders if i could used one or two cars from their mod. Is the mod dead or what!? Car racing is one popular game. Before jumping into car race we prepare our car usually in modern style. Different color tandem present for a coolest look. But upon painting it into your vehicle be sure you undergo some training since you don't want to mess up. Cost of money always vary but there are electronic payday loan that you can turn to. Very cool. 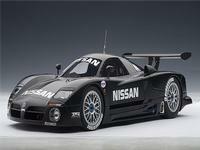 I've been hoping someone would make the Le Mans cars from 98' and 99' some day.